I have been debating for a long time whether to blog about this product. It’s not necessarily a negative review just a cleanser that has left me a little deflated and sitting on the fence. I usually love the products I test so I do feel on occasions it is important to throw a negative into the mix. Quite some time ago Skinsmatter.com sent me samples of products that had been short listed for the Free From Skincare Awards. You may have seen my less than favourable review of Abees cream. 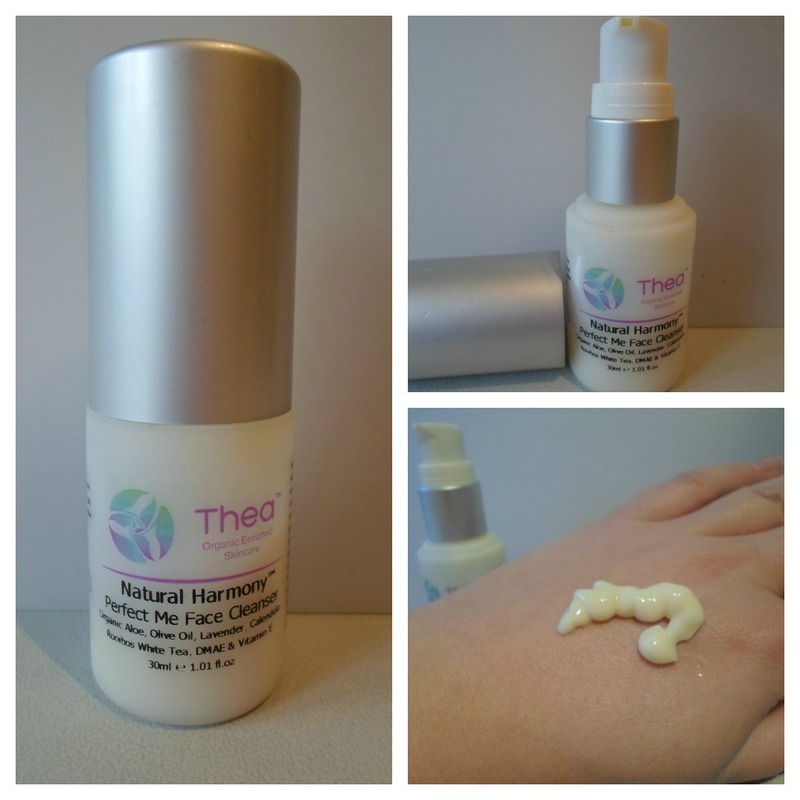 I also received Thea Organic Enriched Skincare Natural Harmony Perfect Me Face Cleanser. Thea is a brand I am familiar with as I had previously won a sample size hand & body cream. Products are 100% natural, organic and free from parabens, sulphates, and artificial fragrances. It is a cruelty free brand and suitable for Vegans. The bottle was second hand so it wasn't full, not that this is an issue it just meant I only had a couple of weeks supply. Turns out I only ended up using this a handful of times and putting it to one side. It's not bad but it did little to impress me. I realise from researching the product this cleanser is not for my skin type (I am dry & sensitive). This cleansed my skin without tightness but I didn't feel I achieve a “dewy glow”. I know fragrance is very much down to the individual but this did not float my boat. I like cleansers that wake me up or soothe with a calming scent. To me this is bland and reminds me of a cold cup of tea. Yes, I know bit of an odd way to describe it but that’s what popped into my head. I certainly would not discourage anyone from taking a look at this skincare line. They have a lot to offer and cater for many skin types. Prices are reasonable as this particular cleanser costs £8.95 for 50ml.